Everybody loves shopping and especially good deals. When we are shopping at online stores like Amazon, we always seek products with competitive prices. To find out, if you are paying less or more you need to track prices because Amazon changes product prices every day. In the same way, it is very important for sellers to monitor Amazon price trends and changes by competitors. Read the info in the graph as this will help to understand trends and adjust Amazon pricing strategy accordingly. There are plenty of paid and free Amazon price tracker available online that can help anyone to continuously scan the prices and track Amazon price history. The prices go up and down constantly and that’s where these tracking tools become useful. AMZ Insight also offers Amazon price tracking within the product tracking feature. It helps you not only get other metrics of your and competitors’ products but also keep track of the fluctuating prices. Take a look at below figure to know how AMZ Insight tracks and display prices in an easy way. Our Amazon price scanner track the data few times during the day. 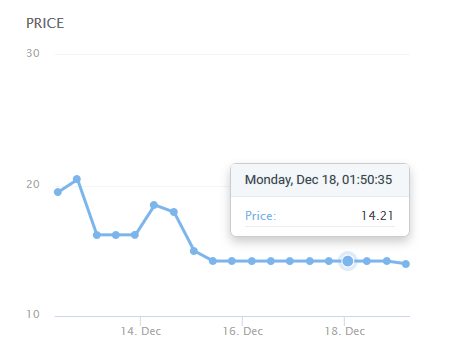 You can also roll over on to the data points to see the price at a given date and time. 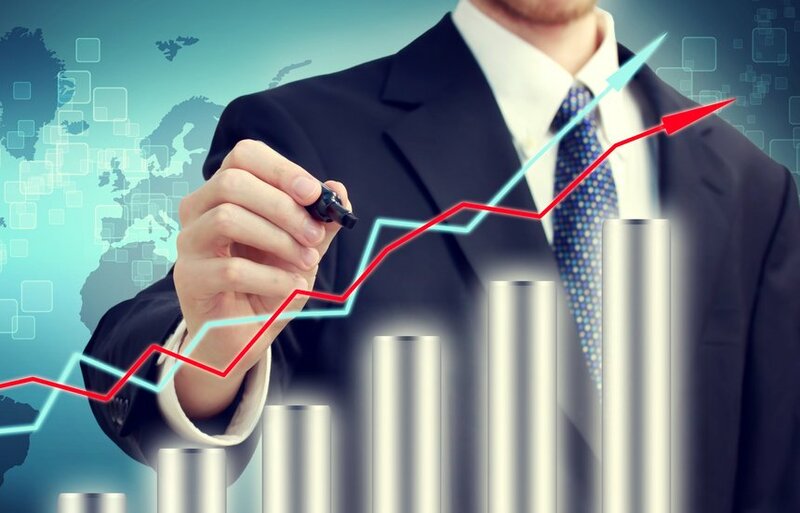 All the spikes and straights then can be analyzed in relation with the sales rank and estimated sales graph to see what your competitor is trying to achieve by increasing or decreasing the price. This little tool will give you insight of the competitor’s activities without even letting them know it and you can easily counter their strategy. After all competitive pricing has most weight among the factors of winning the Amazon buy box. How to Start Tracking Amazon Price Trends? It is very easy to track prices in AMZ Insight by just adding ASIN of the product to the tool and it will automatically start tracking the price changes of that item. It support 10 different marketplaces and track prices constantly. If you wish to keep an eye on the price changes of your competitor’s product, all you need to do is get the ASIN and add it to the tool. After some time once the product tracking is initiated you will start getting the price data along with other useful information related to that product. Over the time, this Amazon price scanner will detect all the changes in pricing of that item and display as a graph. You can track price fluctuation of thousands of products across several categories except for some of the digital products such as books, apps, etc. Started Tracking Amazon Price Trends – Now What? Now that you have the stats of changes in pricing, you will see how your competition is manipulating pricing strategy to win buy box. You can monitor the trends and adjust your pricing to kick out the competition and make more sales. It is advised by the industry experts that lower prices get more chances to win the buy box. By making more sales you not only get more reviews by the original buyers but also improved rankings in Amazon search results. Which ultimately puts your product listing in a circle where rankings, reviews and sales support each other and you dont have to further lower prices or get into a price war. Sign up free trial with AMZ Insight and add your products in our system, sit back and see how our Amazon price tracker will keep you updated with the latest trends of price changes. Whenever you spot a change by your competitor, all you have to do is go to you Seller Central and make necessary adjustment to your item’s price.